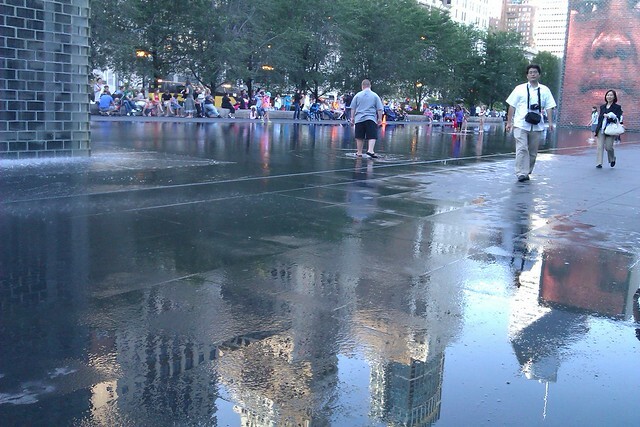 The Crown Fountains are one my favorite Chicago landmarks. I call it the Fountain of the two faces. There are two towers with multicultural faces that change. 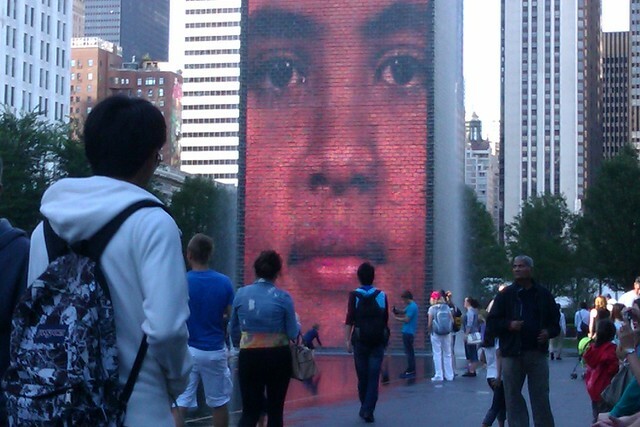 It reflects the diversity of Chicago. The Crown Fountains in Millennium Parks were designed by Spanish artist Jaume Piensa. The faces come from a cross-section of 1,000 Chicagoans. The water that spouts from the mouths of the faces derives from the traditional use of gargoyles in fountains. Open mouths with water flowing out represents a symbol of life. 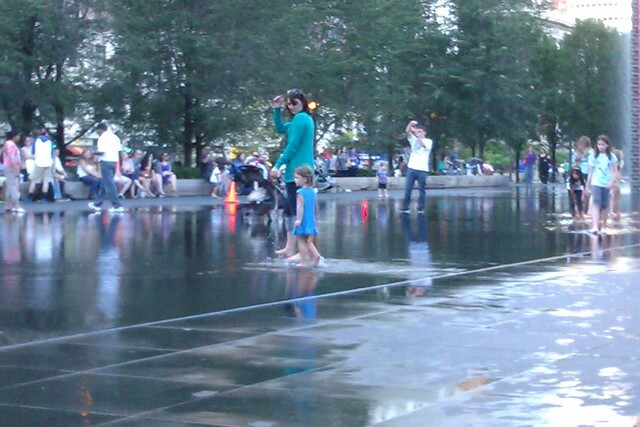 Last few days of summer in Chicago with tourist at Millennium Park. I love the diversity of the city. Family time at the fountains. Everyone runs to the fountain when the mouths pout water. 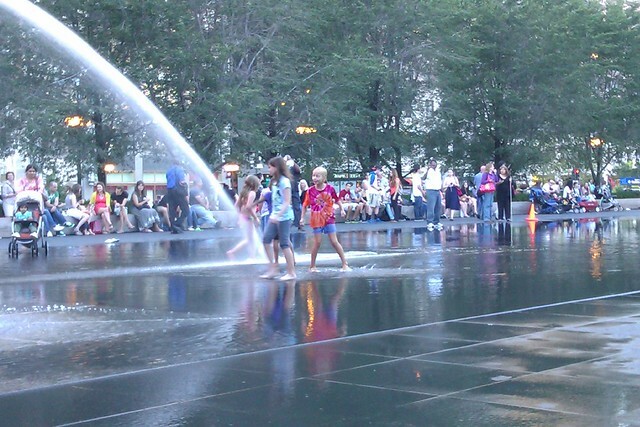 Children playing in the water of the Crown Fountains. 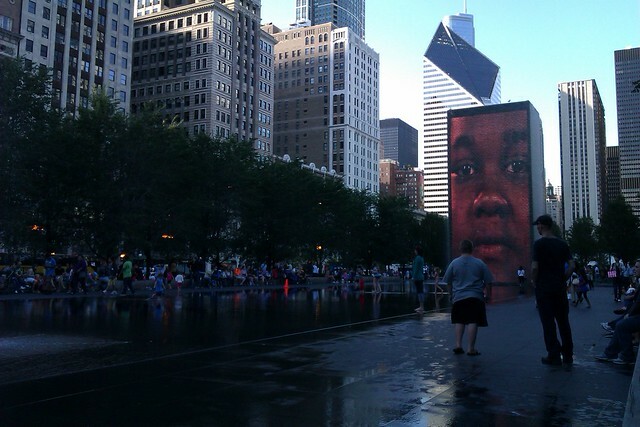 I love the visual of the Crown Fountain Faces, especially the diversity of the faces. 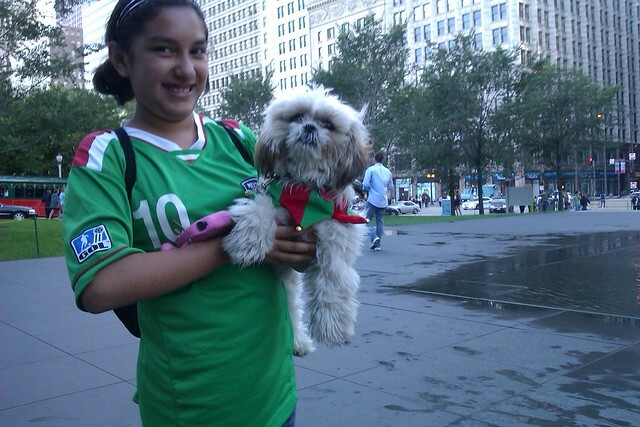 A little Mexican girl with her dog at the Crown Fountain. They are both proudly dressed in the colors of Mexico.